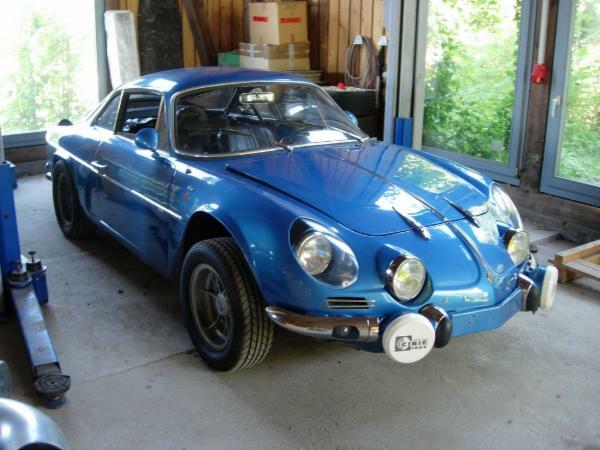 This is our 1968 Alpine A110 1300S. 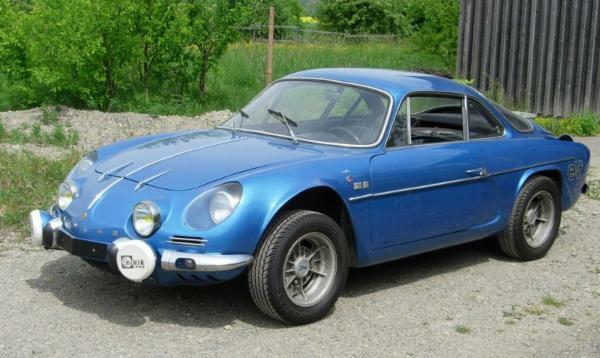 The A110 1300S was the Alpine top model at the time, many of them were running in races and rallies. This car will be the body for my Gordini T58 , which is ready to run in the meantime. 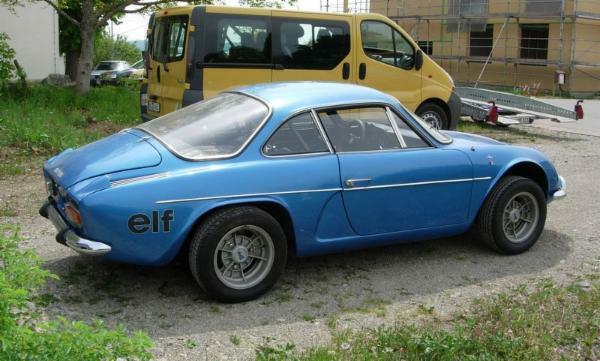 In the meantime I know a little bit more about the car, due to the good connections and research of an Alpine enthousiast from France (Thank you, Roland!). 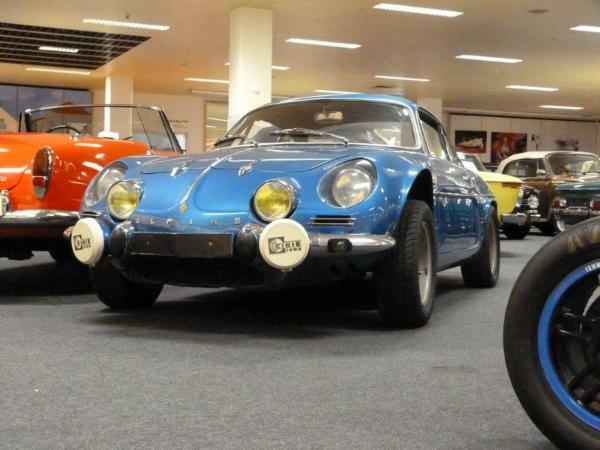 The car left the Alpine factory in Dieppe on 06.07.1968 as "compétition client" and was immatriculated in France. It went to Holland in 1973 and was again sold there in 1986. I bought the car from this dutch owner in August 2009. 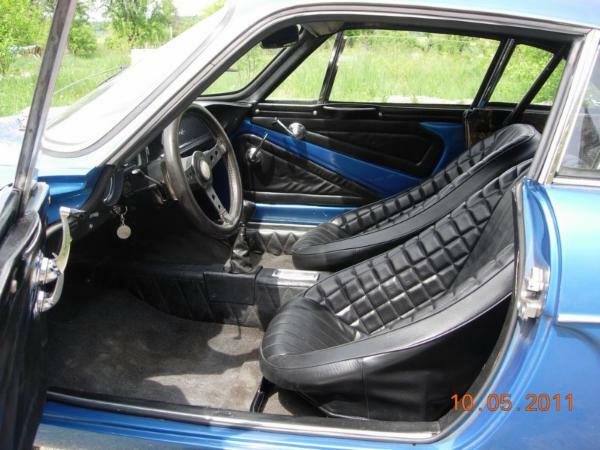 Before I received the confirmation, that this car is "compétition client" - a car that was factory prepared for competition and was sold to rallying/racing customers - I found out that the car must have had the central fuel tank as had all the competition models. The access flap right behind the passenger door has been closed foregood and the tank has been removed. This must have happened quite a while ago, probably in the early seventies. 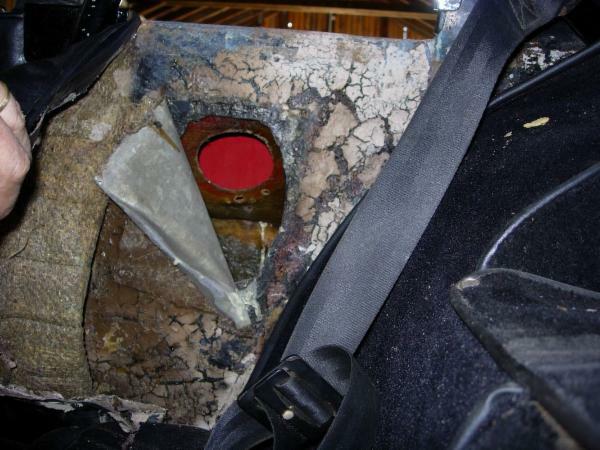 On the inside of the access flap you can see the car's original colour when it left the Alpine factory in 1968, 'rouge italien' as stated on the colour code plate.